Summer will soon be here and that means more time outside. (Finally!) All the 5-star reviews are in -and they are applauding EltaMD UV Lotion Full Body Sunscreen! This dermatologist-recommended cream protects your skin from unwanted sun damage and moisturizes all day long. The high-efficiency airless pump makes it so easy to use, while the light, fluffy moisturizing base soothes and spreads over your entire body evenly. The non-comedogenic, paraben-free, fragrance-free, and sensitivity-free traits of this lotion make it ideal for all skin types. I’ve found the best price at beautystoredepot.com and shipping is fast and FREE! 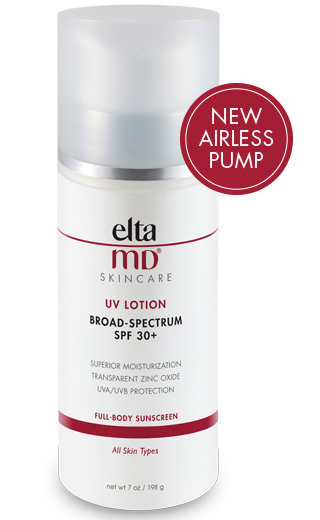 And right now you can get it at an even better deal when you save $4.80 with code 15PARTYTIME and protect yourself from the spring break sun with EltaMD UV Lotion Full Body Sunscreen at beautystoredepot.com. See all the EltaMD Suncare Products available at beautystoredepot.com. This entry was posted in Skin Care on March 2, 2016 by Chrysa.